The to Pathway Promise Podcast Episode 38 features an in-depth conversation with Bill McConnell on leaving a legacy of purpose. He is the author “Conquer What’s Next: Scheme Your Dream, Get Your Rear in Gear and Gain the Grit to Go There” and the creator of The Legacy of Purpose Virtual Summit. Bill tells Brad the story of working as a youth pastor for 23 years and then losing two jobs through no fault of his own. He fell into depression, his marriage was in peril and he even contemplated taking his own life. In desperation, he turned to prayer and God and asked to get through “one more day” this turned into “one more week” “one more year” and was able to turn his attention from his own troubles to helping and serving others. This lead to his writing, blogging, coaching career where he helps people discover their purpose in life. Create and pursue goals and motives. How do I make routines in life? How do I account for adjustment to disrupted routines? How to leverage desperation to succeed. The Legacy of Purpose Virtual Summer features. 12 people from diverse backgrounds and perspectives joined together to present insight and challenge around the idea of living a life a true purpose. You can get the details on the Legacy of Purpose Summit here. 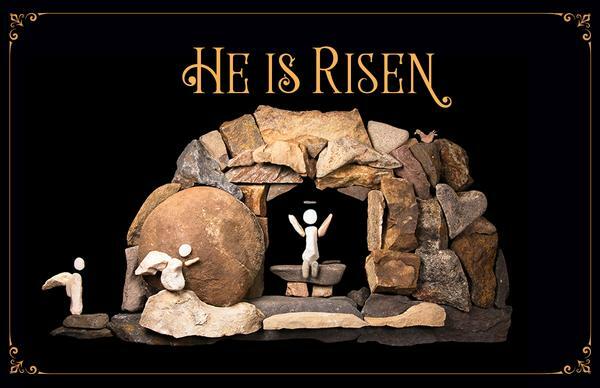 Hi I'm Patty raucous artist and author from rocks tell stories calm and author of He is risen rocks tell the story of Easter I help empower and transform people by playing with rocks. 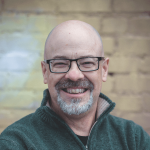 Dr. Brad Miller helps to empower and transform through the power of stories told right here on the pathway to promise podcast helping you uncover your promise like a peace, prosperity and purpose. You're on the pathway to promise with Dr. Brad Miller. Brad believes every person has a god given promised life of peace, prosperity and purpose and that you must have a plan and a guide. in our process our 40 day way process of improving your life is to have a life of purpose, a life where you thought things out and will you have a life where you are making your life happen intentionally having a plan, having a specific plan, then working that plan in order to make your life better, a whole part of the 40 day way of building your life. that then actually working together and I felt it was just time to do something else. I just I was really getting on the edge of being burned out. Okay, so I stepped out of ministry took a job at at the hospital as a program coordinator. I was there for three and a half years and then they cut 60% of our department. into one into unemployment as it were still does not feel good at all. Yeah, I went through a period of time where I really struggled with finding a new groove like youth ministry was was my my passion, my love I was successful in it. Loved hanging with the kids I love being with the kids and putting my life and the life of Christ into these kids and and when I stepped out of that I felt a little bit lost and then after one cut back after another cut back I find myself just sitting at home doing nothing and had no clue what to do. and that was that was kind of it maybe, maybe, and then I figured let will let I let me do something. So So let me just be clear for a second. okay, this is what I this is what I feel like doing them. But I had no great way to do it. Yeah. Which is which was very providential looking back and I just decided, I said, I just got to figure out do something and I thought, well, if I can't find a job and if I if I can't step back into ministry and be effective in a full time church ministry position then I'm I just got to figure out something to do. So I poured myself into being a host husband okay, but doesn't sound very very exciting but with my wife making the money at that point in time I gotta make her life easier. Yeah. In the same situation me How can I help husbands that are may be missing the point with their wife they think everything's fine because I thought everything was fine and in my marriage it right up until the point where my wife said she wanted a divorce. We want to talk a little bit about how you got from where you were to where you are. real specifically, I'm here I am here for purpose and the purpose isn't a job and the purpose isn't a position and the purpose isn't a ministry. There's a purpose within me. There's a reason why I'm here. It's not that I've lost it. I just had my eyes blinded to it. And I started to do some just some basic things I just started to pursue the concept of the idea and what what is my contribution for the rest of my life? What am I going to do and one thing I love to do, I'm a planner I love to plan it's crazy I struggle sometimes in execution but I am a master planner I'm a master planner to the point where I said I'm going to become a certified project manager okay which I am I love to plan things and so I just started planning my life a whole lot better one of the things that is really kept me solid and kept me going and moving is a morning routine okay good what morning Tell me about it a little bit even go deeper on that you I'm after bold actions that we take. And this sounds like one of these things you did in good a little more discipline in your life. Tell us a little bit about how you actually do your morning routine. I woke up in the middle of the night and decided to stay up It seems a little bit random. and goes even even today, even this morning I get up I take a journal and I write I've got two pages two sides of a journalist for things that go on it on the one side, I write down a portion of Scripture and I just kind of right and go a little deep into that portion of Scripture whether it's three verses five verses or just one verse. Sometimes I stick on one verse for four or five days because I'm just stuck there and I want to get everything out of it. Under that I write down my prayers pressure my wife pressure my daughter, prayers for projects, prayers for myself, prayers for others on the other side of the page. I'm very specific. I write down the same thing. Every morning, I write down a statement that it evolves. But right now, it's pretty solid as to how I feel. And to have my purpose is, and I say that to myself every morning, I write it down every morning for very specific purpose. I want it to be the primary thing that drives the rest of my day. Under that I read just a little bit about what happened that hang on a second there. Bill, you said you had this very specific state of that you write every day? Is this a continuous statement or just like one for each phase of your life? Or that has that specific statement? Has it changed over time was just like a mission statement type of thing or affirmation. You could say you could say it's a mission today, but you could say it's affirmation. And I've got it right here. And I can read it. If you don't mind. I would love to hear it. Okay, this is what I write this down every day. Don't just say it but I read it them because writing is it is a very powerful thing. I don't type it out. I write it out and I'm kind of stuck on that I'm going to stick with it. This is this is what I do. Every day. I write this down and say I am a speaker, author and life coach who serves growth minded people aspiring to become their best selves. I help them discover their personal life map and embrace the journey ahead. By becoming a conquering spirit over self and circumstances. My passion is to empower a movement of strong fearless conquerors of action, and like the result of which the world cannot ignore. That's awesome. And I noticed that you turn this your statement of motivation, you know, some people call something like a like a mission statement or a credo or something like that, but you call it your statement of motivation is tell me a little bit about that. Is that to motivate yourself or to motivate your people that you serve, or How's that? Well, one thing I love to do is when I was talking about planning right me it has to do with helping other people. The very fruit Ironically, the very first weekend I was ever a youth pastor in a church fresh out of college, I had all these ideas and all these thoughts and minds. And there was a special speaker the church. I don't remember her name. I remember she's a female. No clue. She was she said one thing to me. She said, find a need and meet it. And I thought that was the dumbest thing I've ever heard. Because I was just at a school and thought I knew it all. Of course and later in life. The more you think about it, that's the best thing you can do in ministry, find a need and meet it. And I love I live to serve and help other people. I don't have to be the guy up front or anything I live to serve and help others starting with my wife and her job starting with my daughter and moving up to everything else that I do. I want to help other people and that's become one of the primary driving purposes of my life. Currently. I want to I want to be remembered. But things don't just when we have transformation our lives, it's not just a one time thing. It's an ongoing process. So how do you utilize these disciplines and these powers are this drawing on a higher power to help you face obstacles or anything that you face. You know, every day in life, the when you have to go, you know, I just me and my wife just did our taxes the other day and we had to deal with all that hassle and and, you know, we have to deal with it, whatever it is, taxes or whatever it is, how do you use these powers? Have you deal with the everyday mundane challenges of life? Most of these things I know we got to do them. But are they important? Not really. I don't see them as Empire. I see them as necessary, but I don't see them as important. important for me is maintaining my focus on helping and serving other people and serving Christ. And so drawing drawing on the higher power for me, it's it's an exercise in focus. And I mean, an exercise and focus because sometimes it's just just hard. Yeah, like tired. Nope. Nobody made like, easy. comes into play in your transformation or the work you do with other others. Tell me about the role of important relationships. I sometimes end up acting like an idiot. Sometimes I come out on top because it really doesn't matter but I just face them head on. We have as a family we have some friends that we will we will die for that we've been with them through the day. there's some people you will lay down your life for and I understand we would probably lay down their life for a stranger in certain circumstances as well. But we had a few very close friends and because I've forced myself out of my label of introversion, let's call it that. and what to do, what a trade off Yeah, Ohio is a great place. Yeah, I went to this conference and I forced myself to connect with people. And the more I tried, the better I got at it, I think, but I made some very good connections. connections from people with people in in rural Alberta, Canada, to Florida to Texas to to Cleveland. fulfilling for you, or do you find that draining for you when you're you said, you're an introvert, that's one reason I asked that question. Some introverts, fine. dealing with people draining I find helping people fuels me okay. I'm excited about that. And I'm able to do it because, you know, one of those things that's in me is I love to plan stuff. couple of things. One is in the book you just mentioned conquer. What's next? There's nine questions. or with me see, Oh, here we go. Here's where editing comes in. Here, what do I want? Why do I want it? So you've got purpose, goals and motive. to get there? What am I willing to do daily to reach that goal, and not just every week or every in every little bit of time, going after goal is a daily process daily going after something. So what am I willing to do daily to get there? because a lot of people get themselves going on a great habit or great routine and then something happens and how you going to adjust and they stopped there and they're done. And the last is just having the grit to go there. how desperate are you to succeed? No, I wasn't. desperate enough to kill myself. But I was close. And I turned it around and said, how desperate Am I succeed? Because the last thing I wanted to do one of the things that kept me from from following through on that thought was, what am I doing to my wife? Hmm. Okay. Yeah. What, what am I doing to my daughter. And that is not the legacy that I want to leave. make those changes. That's awesome. That's awesome. And it's very practical. I think for people they give them advice and and I know that your book is going to be helpful to that as a tool for people to have another tool for people that you've got. You're working on bill it's a it's a summit. It's a summit which is where you get together with other like minded folks. go to a landing page on my website, read about what's going to happen and save your seat. It means it really is that simple. But what you get, we're going to have, there's 11 people and myself, so a group of 12 and it's over five days, and you can tune in live and watch the live interviews. And these are people from all walks of life. these are these are professionals. These are I have one person who used to live in Montana spent the last nine years in central Mexico. We have a person in rural Alberta so far as the it's not the end of the world, but you can see it from there. you know, here's something I need to do practically in order to move to my purpose. What's your word to that person today? your biggest enemy is in your head and it's in it's in your heart. I grew up being taught to be negative about everything. My father I'm convinced of this my father invented sarcasm and if he didn't invent it, actually perfected it. I had to find a way to move forward and they did. When you start to look you'll find a way forward I believe you'll find it in Christ. spiritual power through his servant hood. And he quoted every made the phrase, you know, to preach the gospel and necessary use words. So he's the man of action do what's necessary to be helpful to people drawing on a higher power from God is important in his life. And he has to be in terms of people in his life. He really served his wife very intentionally in the early days of his turning his life around by being a house husband, and by really poured himself into his marriage. And he found some ways to serve her now he finds ways to serve other people through his writing and through his speaking and teach you, but he's an introvert by nature and has had to find ways to connect with people to get over being stuck. And so he has to find his own ways to do that. And so he's based a lot of his life and questions he's asked himself he's putting some as writing and so on what I want to do. slash 0338 that's pathway promise comm slash 038 and find all the details there or you can go directly to Bill's website Bill mcconnell.me get detailed as well. They'll be 12 presenters there at this virtual summit. Lots of things happening. It'll be some great content for you to help you discover and create your own legacy of purpose. We're here to be helpful to you as well here at the pathway to promise podcast my made my name is Dr. Brad Miller. And I'm all about being helpful to you and your life to help you overcome adversity to achieve your promise life peace, prosperity and purpose. You can head over to pathway promise calm and you can find out more about the upcoming book the promise given life, your 40 day way to live in your life of peace, prosperity, and purpose, which is coming up later on this year. And you can get on our launch team and help being part of the creative process of creating this book. And we hope that you will we're all about being helpful to you and your feedback is important to us here at pathway promise calm so we've done the website and give us a give us a reaction to what we're doing. Maybe let's see how we can be helpful to one another. It's going to be with you through this whole days of March. In April 2019, everyday we're putting out some content to be helpful to your life to present some aspect of life to help you move forward a little bit every day and get better every day to come out to a place where you can indeed achieve your life of peace, prosperity and promise. But nothing happens unless you take action. And part of taking action is make a promise to yourself to get better. So my encouragement to you to today friends is simply this to keep your promises because there's power you know, promise kept. In Episode 037 of the Pathway to Promise Podcast Dr. Brad Miller continues with Day 4 of his 40 Days of Promise life transformation challenge. The theme of this episode is “encouragement.” He illustrates encouragement by telling the story of a ministry he knows of that serves prostitutes in the inner city. One of the tools that the ministry uses is giving the prostitutes “encouragement notes” which become cherished possessions among the prostitutes and instrumental in building self-esteem and life change among them. Dr. Brad then offers a practical exercise to help the listener to become encouraged by being an encouarager. Patti Rokus is an artist and an author of the new book He is Risen: Rocks Tell the of Easter” and Dr. Brad Miller’s guest on Episode 036 of the Pathway to Promise Podcast which is Day 3 of the 40 Day Life Transformation experience. The theme of this episode is the restorative and transformational nature of connecting with nature. 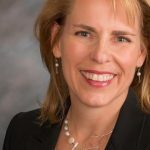 Pattie Rokus is a recovering corporate executive with Microsoft and NIKE who overcame the adversity of childhood trauma and divorce through the healing power of nature and expressing art though rocks. The purpose of The Pathway to Promise Podcast is helping people overcome adversity to achieve their promised life of peace prosperity and purpose. Patti found herself in a state of debilitating adversity dealing with a severe back injury, a failed marriage, and dissatisfaction with her job. She took time on an extended vacation to camp and hike in nature where she took the time to clear her mind, connect with God through nature and discover, quite unexpectantly the artistic value of gathering rocks and displaying them through art. She created her first book “A Savior is Born: Rocks Tell The Story of Christmas” in 2018, a coffee table photo book hoping to sell 50 copies and sold over 900 which confirmed the impact that her art and authorship was making to others. Patti also produces artists and how to video at rockstellstories.com and is providing a gift download instructional video about how to create an angel from rocks which has delighted children and adults alike. Patti is inspired to help people realize that God cares for them individually and to heal and connect with God by stepping out in nature. Enjoy Episode 036 of the Pathway to Promise Podcast feature author/artist Patti Rocks. Pathway to Promise podcast episode number 36 Rocks tell Stories with author and artist Patty Rockus with the new book "He is Risen"
I thought it was going to solve all the questions I was going to journal and write and figure everything out. But instead I just became really quiet and became I felt like a piece of moss or a tree. I just became one with nature. pathway to promise podcast is brought to you by the book The promise given life that Reverend Dr. Brad velour, the 40 day way to your promise, life of peace, prosperity and purpose. You can be part of the launch team and get on the waitlist for this new book, which is coming out later this year by going over to pathway promise.com. This episode is also brought to you by Patty rochas, who brings you a free downloadable resource called Making angels an easy way to make a rock art for children. It's a downloadable video or author today. We're speaking to his Patti Rackus, and she has incredible story to talk to us about the power of the transformative power of connecting with nature and expressing it through art. My name is Dr. Brad Miller. And the pathway to promise podcast is all about helping you transform your life to help you overcome any adversity in your life. And the know that you have a promise, life of peace, prosperity, and purpose. And we bring you teaching and and and ways to help you to overcome whatever things are going on your life, maybe as divorce. Maybe it's a financial problem, maybe as a health related thing. We all have them, but there's got to be ways to get through that. That's been a lifetime in ministry and studied life transformation and like to teach about this area and bring you great guests like Patty rook is today. Today is day three of our 40 Day Challenge. We're in the 40 days and in March and April 8.
success but some real challenges that you were less than satisfied so tell us what some of the actions that you took I think you nature was involved with helping you turn things around a little bit tell us some of the actions that you took to to deal with a sense of diversity you're having yeah well nature she says always been a critical part of me just feeling at peace and I think that's what we're all looking for is is peace and contentment it regardless of our life situation, the really the very first story about the rocks was in my 30s I hurt my back severely. And it was a most remarkable three months. And that's that was the beginning of this the deepest healing of my life. I didn't know at the time that just being in nature was so powerful. And I thought it was going to solve all the questions. I was going to journal and right and figure everything out. But instead I just became really quiet and became I felt like a piece of moss or a tree. I just became one with nature. And after three months, I was so frustrated that I hadn't used the time well to solve my problems. It took me several years later when these rock books came forward. And these images came forward for me to look back and realize that God just needed to calm me down. He needed to create a quiet place inside of me where he could be. I was so noisy and so hurt and so frustrated. There wasn't a room for him. plenty of my own pity parties, for sure. But nature is so beautiful that I could not help but rejoice in God's creations and noticing the beauty and the Wonder from a butterfly to a Trillium flower was just so beautiful. I could not help but be joyful in that space. And that seems like that kind of got your artistic juices flowing. Whether you saw yourself as an artist or not, you became one didn't you? You became an artist and such a to to have your heart touched by the by nature and then to transform that into art into books into videos that are touching to others. awesome that is so cool. That's a good thing there for that is a God thing. So now this has turned into something different isn't it? suddenly you've got a not only something for you. You've got something that is obviously impacted other people. Tell me a story Paddy about how your art and by the way there's a huge story you told about creating things are some really awesome videos you have on your website about your process of doing this the sorting out the rocks and I just think I would commend that to people on your rocks tell stories com site to there's some really cool stuff there but tell me now about maybe some stories you may have heard reflected back to you about how your work has been transformational to other people give me a good news story thanks I hope I was so befuddled by these rocks because they're so simple and I had hoped that a life of experience and that I'd have to add something a little more significant to give to the world little more sophisticated but these rocks have turned out to be an incredible blessing because there is something really powerful about stopping everything else we're doing in life just hunting for rocks. I was at a it was just this last summer I was at a retirement party for a dear friend, and they had a whole bunch of people over to their house to celebrate. And I figured they were all believers because my friends and I are and I just assumed everybody came was and I'm meeting a bunch of new people and this really cute couple in their 60s just vibrant. And Darlene we were making introductions and what do you do? Know what do you do? I said, Well, I play with rocks and off, you know, it was funny is it will really. And I had a prototype of my Easter book that shows the scenes of the last week of Christ's mortal ministry, those very difficult scenes of the Passion Week. And I pulled that out. And I said, Yeah, here, let me show you. And so we sat on the couch, and they started flipping through the book. And they got that first they smiled and thought it was cute rocks, you know, telling these making these pictures and then they got very quiet, and I got a little uncomfortable and thought, well, gosh, I Why are these and then but they're flipping through the pages very carefully. And then the wife finally leans over. And she says to me, and this blew my mind. She said, Is this what Christians believe? Got to sit with them for 20 minutes and talk about who Jesus is and why he matters. And that this is about love. This is not about punishment and judgment. This is about love and how it's about love and their hearts. You know, I could just see them relax, and I could see they're interesting curiosity. And I really felt like God was there just wrapping all three of us up in his love. And they said, Oh, when the book comes out, we want to copy and I thought, Oh, that's really neat. Well, Bader the hostess after everybody had left, and I was helping clean up. The hostess said to me, after I told her the story. She said, Patty, those two are atheists. And although we love them, and they've been in our neighborhood for 20 years, and we've known them all this time, they've never allowed us to have a conversation about God with them. And so there is something powerful about these books. That is healing about the rock art. It's so nice. interested, non threatening, it just allows people to enjoy the art and consider the whole God's story in a brand new, fresh way. And it's relational in a, in a serendipitous type of way. Where comes out of an unexpected way. Sounds like not only older folks can enjoy, but children and families, folks like this can do that. And that's an awesome thing. But telling you may, you've already touched on it here, Patty, but you've got a new book out now about Easter story. He has risen rocks tell the story of Easter, and that's available now, as we talk here in the first part of march of 2019. Tell us a little bit about this new book and about what that's all about, and how that can be a wonderful addition to people's lives. Yeah, thanks. I would love to tell you about it. The first book was the Nativity one, the story I told you. And that was just this last Christmas. So Savior is born. And like I said, that was just random rocks, you know, in that bucket, but when Harper Collins said we'll take it. there is there just touching the things that God created you know they're finding the wonder of nature which if that's all it did that's enough to get people back in touch with their own hearts reconnected to nature, which call it God or not. I think anytime we're connected to what he's created where we connect to him, but then they bring the rocks home and they start making their own stories and it can be their story. It could have nothing to do with God. Even just telling their story gives them an opportunity to put on the outside what is stuck on the inside and that's hugely healing, but they're often taken. Look at the pictures I've done so they have an idea and now they have a reason to think about these stories. raised there, they will stack rocks, say on the graves, because in the world, there's not much grass or vegetation. Anything else. So rocks have a powerful image. And so for an honor of the legacy of your ancestors, and his spiritual power rocks are stacked in such a way that symbolism and Sumo certain Native American groups is that as well. It's just, it's just coming to my mind as we're talking about this year, the power of moving rocks around and it's I think there's something to be said for that. Of course, there's beautiful imagery of the of the rocks will rocks will speak and so on, and returning rocks into bread and so on. There's lots of imagery that way that I think is powerful. payouts like to ask my guests two or three kind of consistent questions about process that you use. believe is the kind of the field that helps move things around. And it has to do with interpersonal relationships or feelings of love. How has any support from other people or for some sense of loving relationships been involved here with you in this process? Or how you use your feel supported or can make it a contribution to others? It's an emotional level. Brad, you have such excellent questions. This is so pertinent to maybe we all have limiting beliefs that we created a different times in our life usually childhood and, and one of my pervasive limiting beliefs is that I am alone in the world and you can see how I've lived that out by not married until my 40s and now I'm single again. And so it's hard for me to allow people to help me and be in my life and that is probably the most damaging aspect of my life and these books. I think part of the gifts of these books to me from God, why he let me create these was to teach me how severely I need others and how severely I need to serve others. And when when I have these relationships as you say, that's when life it's harder to help relationships. They're complicated, but that's where the joy of life is in relationships. And I could not have come this far with these books and with these videos and the website and everything I'm doing sharing this message without these beautiful people around me who have supported me and encouraged me and kept me going when I didn't really think I could do this That's awesome. They just one more what are some of the anyone who gets anything truly done in life, you know, you got to have I believe you have to have a bias towards taking action which you did when you you know, we're not satisfied with your situation with your life and divorce and so on. be sensitive to those things in their life? divorce which occurred in her life and some real physical ailments with a bad back and she took time out to heal in nature and I think that's important thing here for transformation to take place to take time out to breathe to turn off the cell phone to get out of the the hullabaloo of our own lives. And the slow down a little bit. And for her taking long walks, going on long trips and do long camping trips into the woods and she began to notice things that we wouldn't wouldn't notice. Otherwise ever talking about noticing a a big conch shell that was a shape of a heart and noticing rocks that were in various shapes, which he formed into the artwork and she learned to listen and to calm down. I would encourage you to do that in your own life. Listen, calm down, turn off the cell phone, turn off the TV, turn off the computer. Be quiet. Listen, breathe, take a walk. In nature, do something like that become one with nature. And that's a good thing. Find your local park, take a walk in your own backyard, take a drive to State Park, whatever it is, do something where you can begin to notice things that don't. You don't always notice not too long ago in my neighborhood where I lived. In fact, I haven't had any Christmas Eve during the day I was driving down the road just where I live. And right above a flight right above my head was something I have never seen before sense in my community. A bald eagle was right there. It was definitely a bald eagle was flying just just above my own car as I drove slowly down the street. And that was an awesome sight. Any of us made my Christmas a better a better experience, but I would have noticed it if I'd been so absorbed and other things I had to do for Christmas. Pay attention slow down. So I would encourage you to do that and hope you heard how her connection with nature helped her get closer with God in her life and fill or herself up spiritually. recommended that talked about how it's so important when you do this that you believe that God cares about you individually that God isn't just as some you know corporate thing or some mass think about only the masses God cares about you individually and to be very intentional the second day be very intentional about stepping out into nature some great lessons are Patty ruckus go to get her downloadable book there and it will be helpful to you we also have a gift for you as well here at pathway promise.com you we have an upcoming book called The promise given life your 40 day way to your promise life of peace, prosperity and purpose and you can head over to pathway promised calm and there we have a place where you can get on the waitlist which is also really on the on the list that helps us to be in a launch team to help us put this together and be part of the research on this. lessons each. So Monday through Saturday, and we take Sundays off and we will publish an episode each day to give you some teaching and some leadership here and respond to us and tell your friends about pathway promise icon because we know that we can be helpful to you because we're about the power of a promise, the power promise to change your life. That's what we call this the pathway to your promised life. So remember, remember my good friends by good good friends to keep your promises because there's power in a promise. Dr. Brad Miller teaches on day 2 of his 40 day way life transformation challenge on the topic of how taking the first step on the journey to life transformation can be challenging and a bit scary and how to overcome that doozy of a first step. Brad tells the story of falling through an open manhole taught him some lessons on dealing with sudden adversity and to dig out of a deep hole to achieve your goals. He shares four actionable steps we can take to overcome adversity, even after a doozy of a first step, and achieve success. Don’t Die Until you Sing Your Song and Eat a Donut. Dr. Brad Miller reboots the Pathway to Promise Podcast by restating the purpose of the podcast and making commitments to the listeners. Dr. Brad describes the process of transformation that can take place over a 40 day period using the metaphor of the 40 Days of Lent as indicative of the journey of life change any persona can take. Dr. Brad makes commitments and promises to the audience to serve them through learning through the process of his own life transformation. So over the 40 Days of Lent of 2019, Dr. Brad made the following promises. To add value to the audience six days a week through podcasts and blog posts featuring his teaching and interviewing guests. 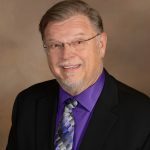 Dr. Brad offered the opportunity for listeners to connect with the launch team in preparation of the launch of his book The Promise Given Life: 40 Day Way to Discover Your Life of Peace Prosperity and Purpose.